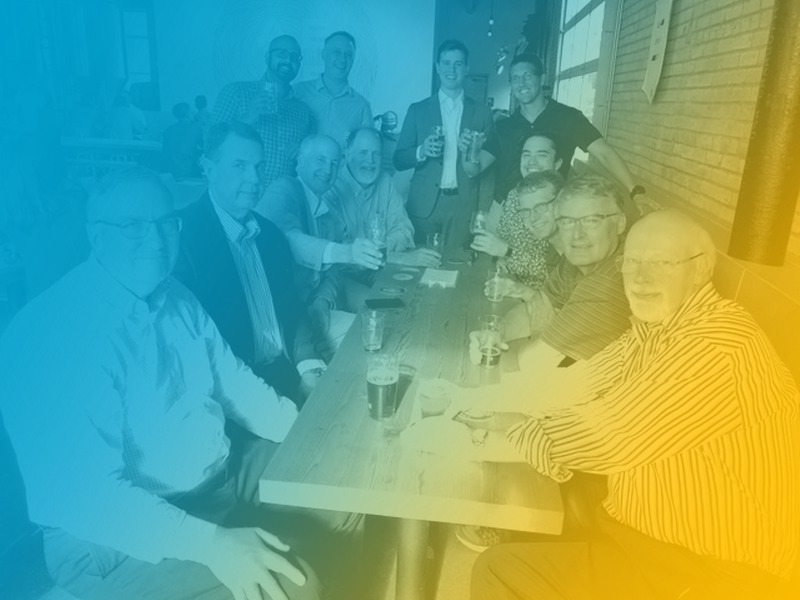 Every Friday* offers the perfect environment to connect with Minneapolis Rotary. We begin with a networking lunch where you can socialize with other downtown business professionals and discuss ideas, business trends, and other key issues to our Minnesota business culture. We then move to the presentation of the day, where we go deep on a subject relative to all businesses. It’s a packed hour that will leave you informed and energized- a perfect way to close the week. *Every fourth Friday we have a special service or fellowship event at another location. Nothing gets the business juices flowing like a good happy hour meeting. On the fourth Thursday of the month, we assemble at the for the perfect mix of good times and great business dialogue. Breweries are chosen at each meeting for the following meeting. Contact us for the location of this month’s tour! Getting to know folks in a new club can be challenging. We get that. To facilitate the process, we can put you in touch with a current member to connect with Minneapolis Rotary in a one-on-one conversation. There will be no sales pitch and no pressure. Like everything in business, it’s all about fit. Your member will tell you about their experience with the Rotary Club of Minneapolis, answer any questions you have, and direct you to next steps if you are interested.